You can use its extensive API to configure its source and target points or shapes. You can choose from a list of predefined cap types thus customizing the start and end point of the connection to better fit in your application scenario. You can also control the type of a connection using the ConnectionType property, add a custom content and customize the overall look and feel of the items. StartPoint/EndPoint: These properties are of type Point and they set or get the start/end point of a connection. Source/Target: These properties get or set the source/target RadDiagramShape of a connection. SourceConnectorPosition/TargetConnectorPosition: Both properties are of type string and they get or set the source/target connector position. 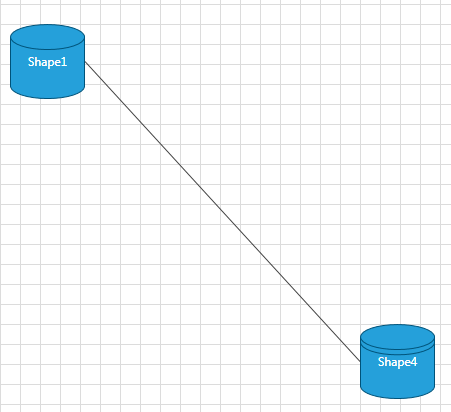 You can find more information about the RadDiagramShape connectors in the DiagramShapes topic. Auto: Use it if you want to automatically determine the start/end point of a connection. 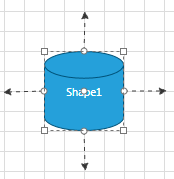 This option will allow the connection to dynamically determine which shape connector to be used as a start/end point. Based on the end point position, the SourceConnectorPosition will be set to the nearest shape connector. Alternatively, the TargetConnectorPosition will be set to the nearest shape connector, based on the start point position of the connection. SourceCapSize/TargetCapSize - these properties are of type Size and they get or set the size of the SourceCap/TargetCap. SourceCapType/TargetCapType - both properties are an enumeration of type CapType that allow you to choose a cap from a set of predefined Cap types. For more detailed information, please, view the CapTypes section below. source of type IConnector: Required parameter that sets the Source of the connection. target of type IConnector: Required parameter that sets the Target of the connection. Polyline: This connection type allows you to define multiple points, a connection has to pass through. By default such a connection have two points it has to pass through - its source connector (or StartPoint) and its target connector (or EndPoint). 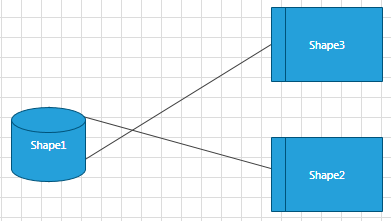 This is why by default the Polyline ConnectionType visualizes a straight connection. 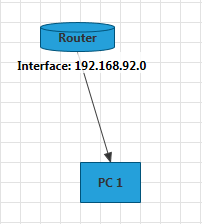 You can use a default routing algorithm to automatically create connection points and route your connections. 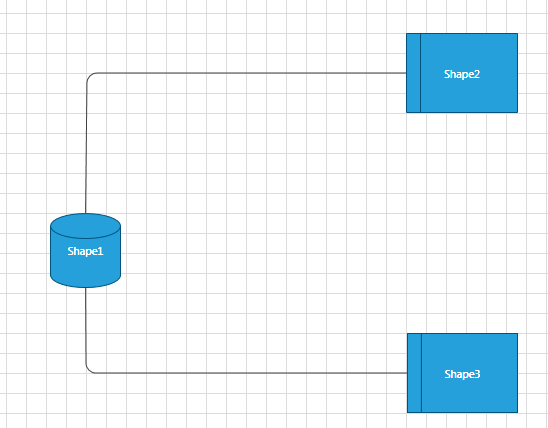 This basically ensures that the diagramming framework will use a routing algorithm to make sure that the path of the connection won't collide with any shapes. 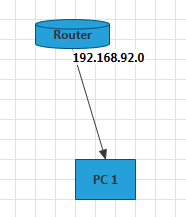 In order to use this feature, you can set the RadDiagram RouteConnections property to True. Please refer to the Routing tutorial for more information on the routing algorithm. 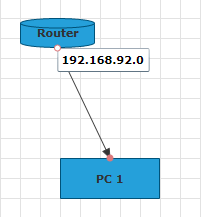 If you want to use a rounded polyline connection, you can set the RadDiagram ConnectionRoundedCorners to True. Please note that in the above example the ConnectionPoints of the connections are added in runtime using the Ctrl key and the mouse. Bezier: This connection type allows you to create a Bézier curve. The Bezier connection is a curve specified by four points: two end points (p1 and p2) - the source/start and target/end of the connection and two handle points (h1 and h2) and a tension parameter. The curve begins at p1 and ends at p2 and it doesn't pass through the handle points, but the handle points act as magnets, pulling the curve in certain directions and influencing the way the curve bends. The following illustration shows a Bézier RadDiagramConnection along with its endpoints and handle points. 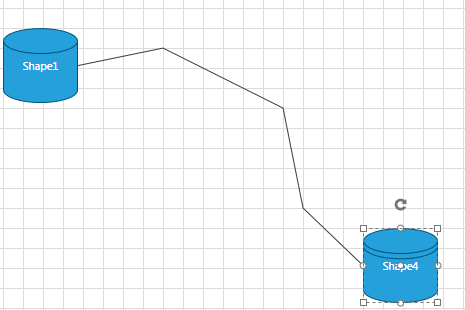 By default when you create a Bezier connection and attach its endpoints to RadDiagramShapes, the position of the handle points of the connection will be calculated based on the connector positions. 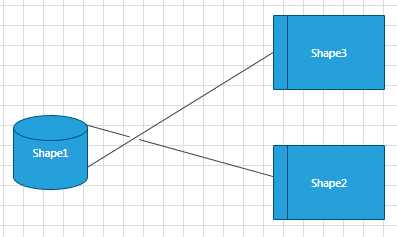 Both handle points will be added to the RadDiagramConnection.ConnectionPoints collection. The following snapshot illustrates the default direction of the Bezier connection handles based on the position of the connector to which the connection is attached. “up” the Bezier Connection handle points will point at the direction indicated by the respective string. On the other hand, if you attach a Bezier Connection to a custom connector which name doesn't indicate a direction, the handle points of the connection will match the start and end point of the connection. Spline: This connection type represents a cardinal spline. The connection is specified by an array of points - the connection passes smoothly through each point in the array; there are no sharp corners and no abrupt changes in the tightness of the curve. The following illustration shows a set of points and a spline connection that passes through each point in the set. You can label a connection by setting its Content property. 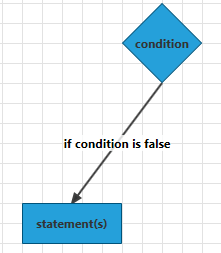 The Content property can define a string, a UIElement or it can be bound to a business property. Stroke: Gets or sets the brush that specifies how the RadDiagramConnection is painted. StrokeDashArray: Gets or sets a collection of Double values that indicate the pattern of dashes and gaps that is used to outline the RadDiagramConnection. 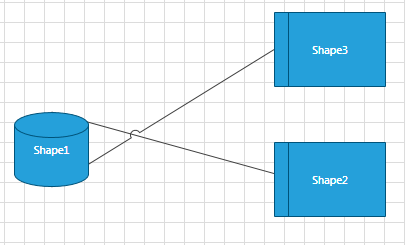 StrokeThickness: Gets or sets the width of the RadDiagramConnection outline. Background: Gets or sets the brush that specifies the SourceCap and TargetCap inner background. 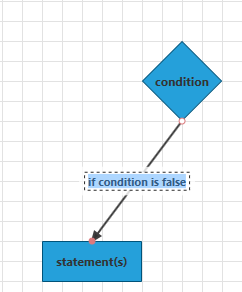 You can use the RadDiagram.ConnectionStyle property to explicitely apply a style on all RadDiagramConnections in a RadDiagram instance. Read more. You can set the RadDiagramConnection in edit mode using the IsInEditMode property. By default when an item enters edit mode, the RadDiagramConnection.Content is displayed inside a TextBox control so that you can change its value. IsSelected: Gets or sets whether the connection is selected. IsSelectedInGroup: Gets a value indicating whether this connection is selected in a group. You can get or set the z-order rendering behavior of the RadDiagramConnection through the ZIndex property. You can get the bounds of a RadDiagramConnection through the Bounds property. It is of type Rect and it describes the width, height and location of the connection's bounds. With the R1 2019 version of our controls RadDiagramConnection now expose a UseFreeConnectors property. This Boolean property gets or sets whether the connection will choose free connectors when attaching to a shape. In the definition of free connectors means that no connections are outgoing or incoming for this connector of the shape. The UseFreeConnectors property require the SourceConnectorPosition or TargetConnectorPosition to be set to Auto in order have effect.